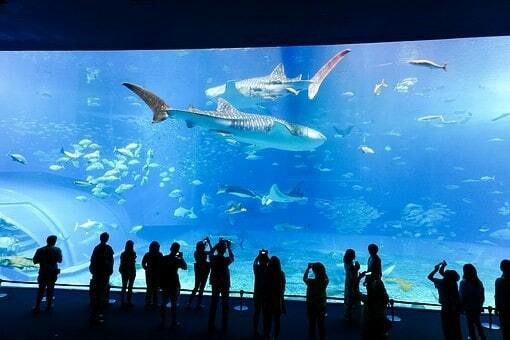 I don’t know about you but I love aquariums! There’s something that’s just so magical about going to them. If there’s one field trip I enjoy the most out of any other field trip, I would definitely pick an aquarium field trip! 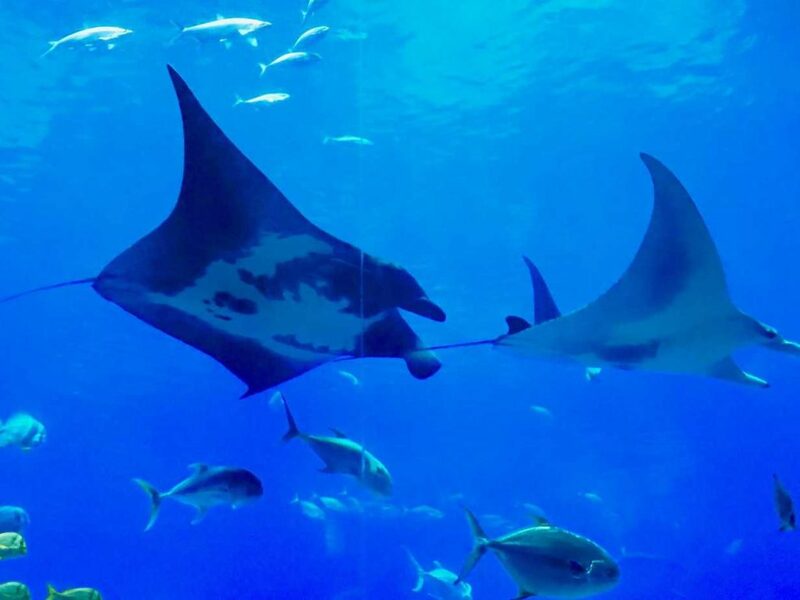 I have loved them since I was a little girl and now I get to share the experience and learn even more with my son on our aquarium field trips. I’ve traveled all over the United States visiting aquariums throughout my life and my son is following suit. From the Baltimore Aquarium in Maryland, the Downtown Aquarium in Denver, the Ripley’s Aquarium in Tennessee, the Georgia Aquarium, Aquarium of the Pacific and Monterey Bay Aquariums in California and so much more! We absolutely love them all! Studying the animals and how they’re such amazing and interesting creatures are so fascinating to me. Not to mention, I find it so relaxing entering the dark rooms with the pretty blue gleaming water and the relaxing music in the background. I could sit on a bench for hours watching the fish swim and just take it all in! There’s nothing like it. Furthermore, my son loves them as well but for different reasons as mine. 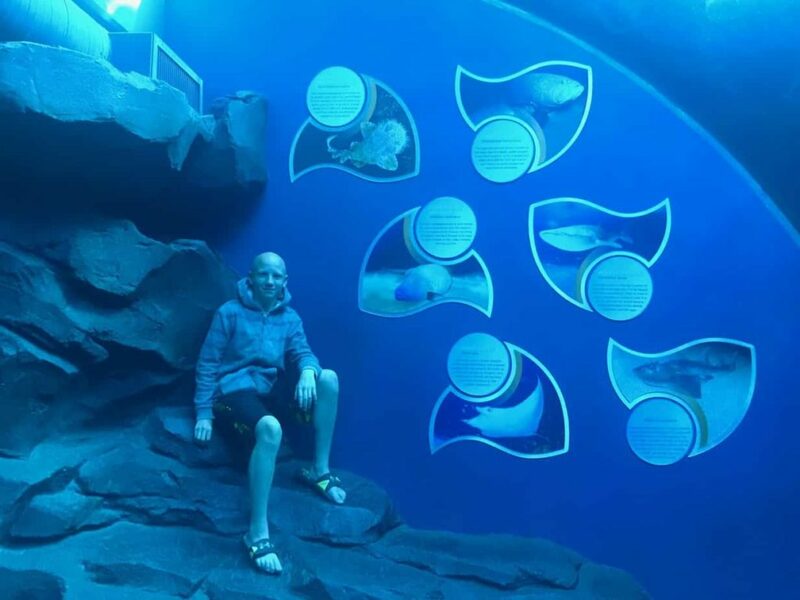 There’s so many cool things to do, sharks to see, pictures to take, funny faces to make at the fish…you know, the typical things boys do on an aquarium field trip. 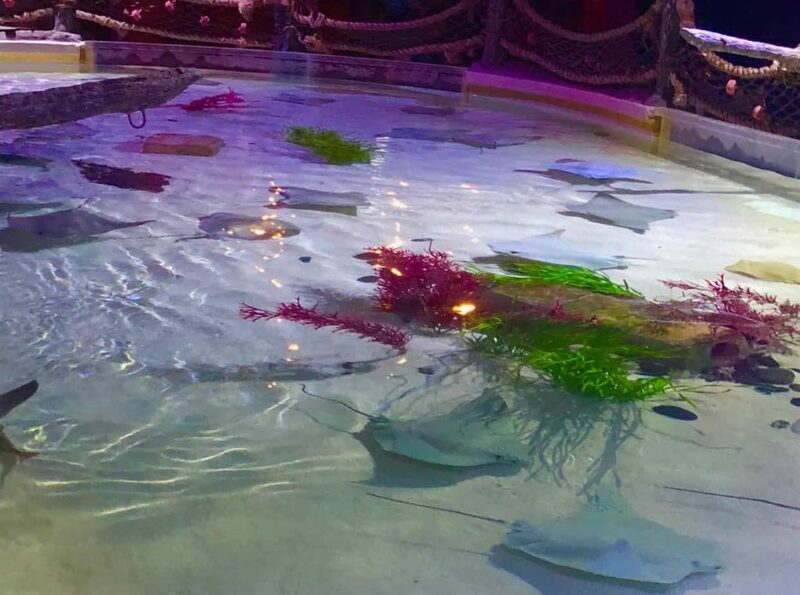 Regardless of what age you are, there’s something so timeless about going to an aquarium. 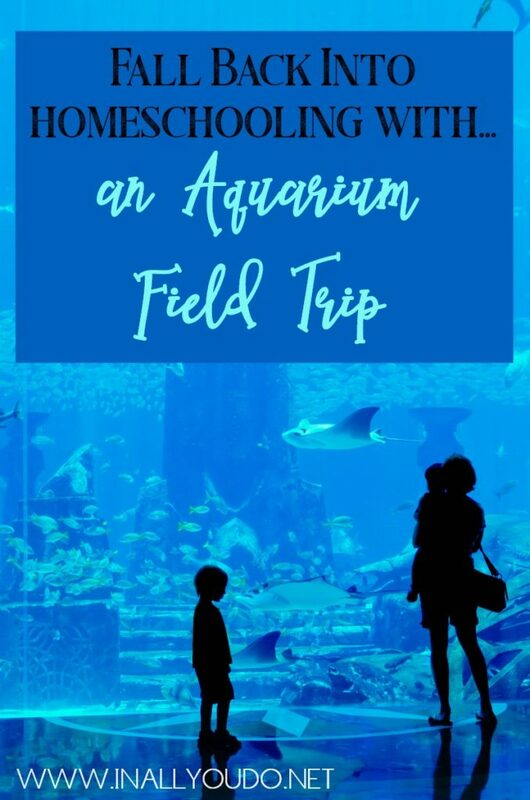 After going through pictures with my son and planning to write this article, I asked my him what his favorite things were on our aquarium field trips and we came up with a list of our favorites so without further ado, here they are. There’s something so magical about the manta rays. Their humonsterous size. Some of them literally reach up to 30 feet wide! 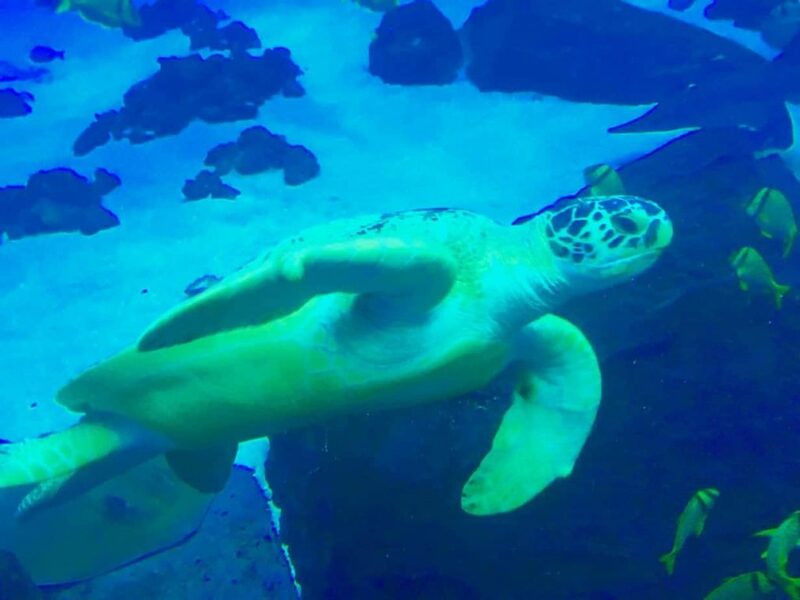 Yet, they’re so elegant and graceful as they glide through the water. One thing that I found to be the most interesting about manta rays is that they’re actually a part of the shark family due to their bone cartilage. Both sharks and the giant manta rays don’t have bones, only cartilage, which is the same type of “bone” that’s in your nose…who knew? Another interesting fact about them is the females actually produce eggs but they develop and hatch inside her. And we call their babies “pups.” How cute is that? Like the giant manta rays, they both eat plankton. It is crazy to think that they are considered to be a fish (not a whale). 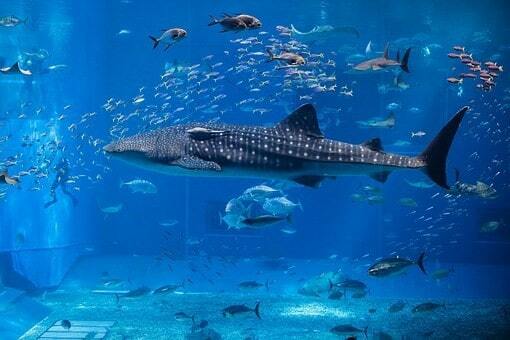 Whale sharks are the world’s largest fish in which it reaches up to 40 feet in length! That’s bigger than most RVs! Here’s some more quick facts that I find absolutely Amazing about whale sharks: They weigh over 66,000 pounds. They have about 350 rows of teeth equalling to almost 3,000 teeth! They can lay around 300 eggs at one time. And the last most interesting fact, they live to be 100-150 years old and reach the maturity to have babies at age 30. Wow! I find jellyfish to be such beautiful creatures. Their colors and sizes are absolutely breathtaking. Watching the way they gracefully move about through the water instantly puts me at ease. They can start in the size of about the width of a pencil and yet they can grow up to 8 feet wide and their tentacles can get up to 200 feet long! My car is about 8 feet long so you can get the picture of how long they can really get. Jellyfish also do not have legs, a head, bones, a brain, ears, feet, or even a heart and yet they detect chemicals, light, and vibrations in the water through receptors in their nervous system. I thought this was such a fun idea for an aquarium. They were actually swimming with fish while we were eating at the restaurant in the aquarium. It really was tableside entertainment. It was so neat watching these beautiful creatures. There were actually 3 beluga whales in this tank but I think this picture just takes the cake. I absolutely love this shot. 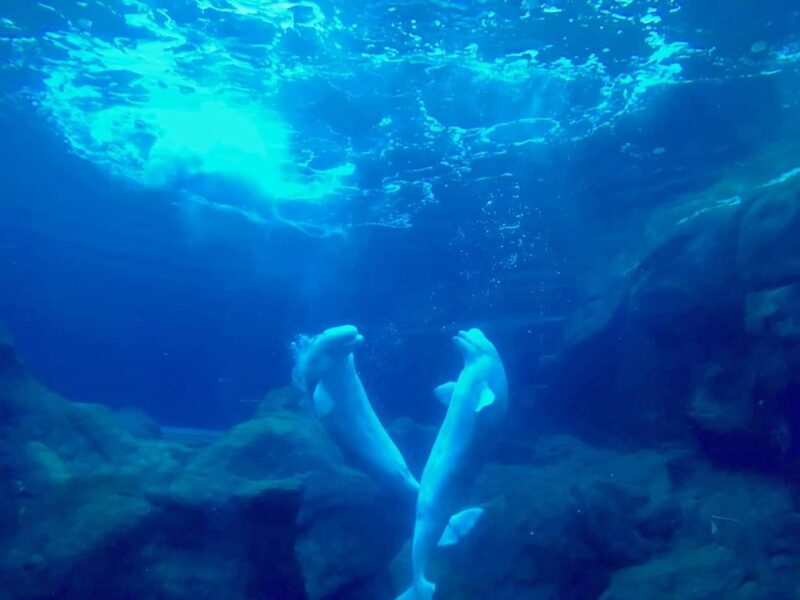 One thing I always think back on when it comes to our visit to the Georgia Aquarium is that after we got home, I signed up for email updates on their site and I found out while we were there, one of the beluga whales was pregnant in which she ended up giving birth to a stillborn baby…so heartbreaking! I don’t know what it is but I love watching sea turtles. There’s just something so magnificent about them. Plus, they have so many cool interesting facts about them I could go on for days! Here’s a couple of my faves: Leatherback turtles travel more than 10,000 miles a year! Males stay out at sea their entire life, yet the females travel back to where they were born every year to lay her eggs (and they look just like ping pong balls!). Oh, and they can hold their breath up to 5 hours under water! I know, I’m such a kid at heart! I love petting the baby stingrays. They feel so velvety soft! If only they would stay in place so I can pet them longer. This is one thing that my son isn’t the most interested in…well, as much a I do anyway! I think this is a boy’s favorite across the board when it comes to aquarium field trips. Of course I can never get a decent picture of them…lol. They’re so mysterious (and almost eerily creepy). But they are such amazing creatures still. 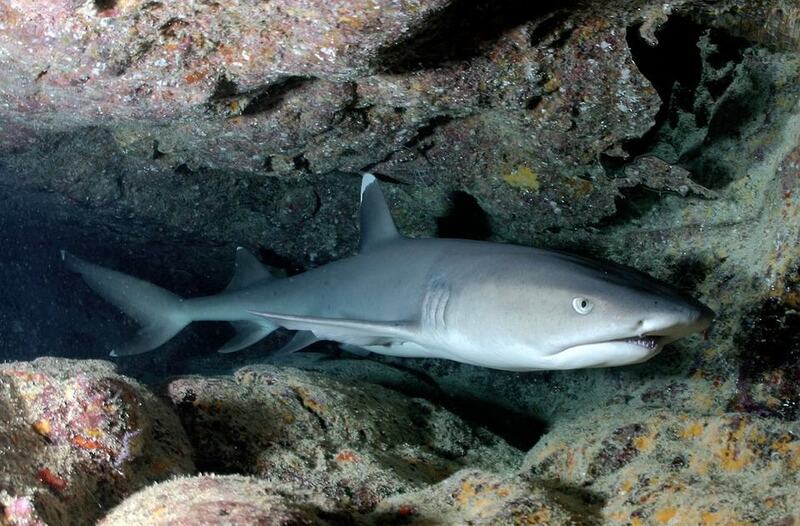 Two facts about sharks (one interesting, one important to know): 1. Bamboo sharks can’t swim. They walk across the ocean floor using four fins. 2. Over 100 million sharks are killed by humans every year. Think about this…for every single person that’s killed by a shark, 25 million sharks are killed by humans. Let that sink in. My Son’s Eyes Light Up Looking at the Magnificent Sea Life! Lastly, I love seeing my son’s eyes light up seeing the cool sea animals or when he learns a new fact! It is such a treat to see that he enjoys aquarium field trips just as much as I do! I could literally go on forever when it comes to ocean life! There’s so much to see, so many beautiful colors, and so much to LEARN!! 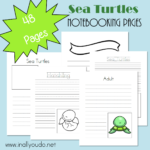 Your children can learn language arts through writing, reading, spelling, and grammar through studying ocean life and documenting their discoveries. They can learn science through ocean habitats, interesting things about sea life, the deteriorating coral reefs worldwide, and so much more. Learn the history of how these fish evolved from millions of years ago. Geography on different locations the fish swim and migrate to. Have you ventured out on any aquarium field trips? Tell us about them! Hey everyone! I’m Sharla Fossen from Minnesota Country Girl. 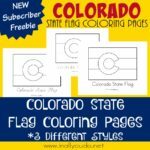 I’m a single mom, blogger, homesteader, homeschool mom, and avid gardener. 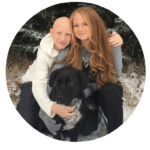 Minnesota Country Girl provides tips, encouragement, resources, support, and inspires families to become self-sufficient on the homestead and in homeschool. 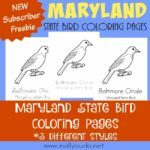 If you’re looking for some guidance and resources on homesteading, gardening, or homeschooling, I’ve got you covered! You can find me at www.mncountrygirl.com and I’m also on Pinterest, Facebook, Instagram & Twitter! Thanks for taking your time to learn more about MCG and I look forward to connecting with you! Hi, thank you for all the wonderful resources! 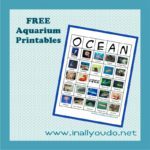 Just a little note… I just tried to claim the free aquarium unit study, and the download that I got is a prayer journal. Wich I’m sure will come in handy as well ? Just wanted to let you know i think the link got mixed up somehow. Thank you so much for the aquarium pack! There are parts my 4yo can do now by herself; parts she can do with my help; and parts she’ll be able to do in the future. It’s great! I did want to let you know that anemone is spelled incorrectly on pages 15 and 17. Thanks so much, Michelle! I really enjoyed making it and I’m am so grateful you’re enjoying it! And thank you for letting me know about my misspelling lol. I will definitely get it changed!